In our first post, we watched Booty track her food for two weeks, then I gave her heck about not eating enough and not getting enough protein. In our most recent post, we shared a normal day of meals for Booty and gave some quick tweaks that might make her day-to-day intake more supportive of her active lifestyle. Basically, Booty’s major challenge is eating enough each day, especially hitting her carb and protein numbers. 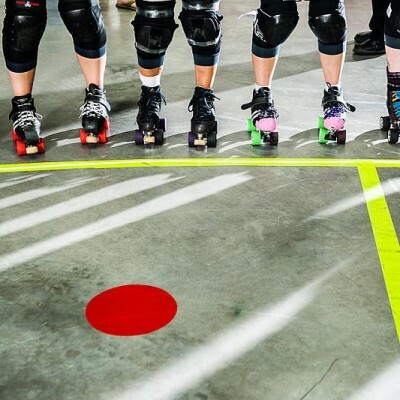 So, how do we make sure to eat enough, especially when derby keeps us so busy? Here are a couple of easy strategies and some recipes that you can manage on the go. Strategy One: Figure out the meals that are hitting your macro targets and eat them more often. Sure, it might be boring, but eating the same sort of meals keeps things simple for your schedule. It doesn’t have to be the exact same meal every time – for example, you can switch up your proteins, spices, toppings and flavour profiles. I eat tuna lettuce wraps (with tomatoes and cheese and other veggies) no less than 3 times a week on average. Is it exciting? No. But it keeps me fed, feeds me the right things when my body needs them, and I can make them in about two minutes flat. An easy macro meal is Jammer Fuel Salad. This recipe was shared by one of our very own All-Stars, BadBrand, in our Recipe Contest! Mix everything together and let the power fuel you! *Booty added a portion of cooked chicken breast to the original Jammer Fuel recipe to punch up the protein, which you can leave out if you are eating vegetarian or don’t have any on hand! If you know you’re going to be travelling, pack a cooler full of portable, planned snacks. If you know you’re going out to eat or to a family gathering where nutritional choices will be limited, aim to address it in the other meals you eat that day. If you have practice, don’t wait until you get home and are starving to figure out what to eat – have your fridge already stocked with easy meal options that you can either bring with you or prepare quickly for pre and post practice. I’ve mentioned tuna wraps as my go-to – Booty was looking for some easy ideas that she can eat in the car since she commutes to practice. Meals on-the-go are easy if you plan them in advance. Hard boil some eggs or precook some chicken breasts that you can toss in a cooler, add some cut veggies, and a handy bag of nuts and seeds (or even ants on a log: celery with nut butter and nuts/raisins on top – yay, throwback to my childhood!). Bam! Totally portable, and covers all your macros. A smoothie with protein powder, fruit, nuts (nut butter) and/or avocado would also do the trick. 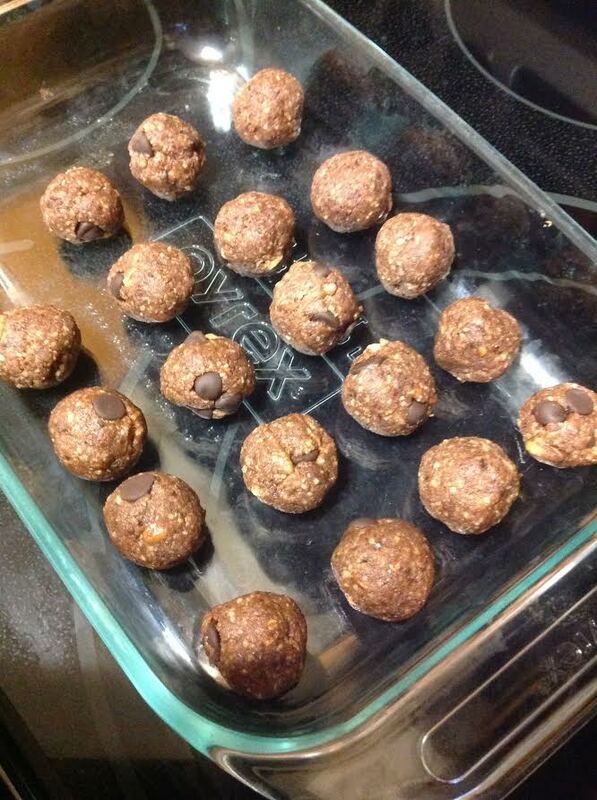 Looking for a high-protein/carb snack that will replenish your energy AND you can just pop in a bag? Ingredients: 1 1/2 tbsp nut butter, 3 tbsp oats, 1/2 tbsp honey, 1/2 tbsp dark chocolate chips (or nuts if you prefer), 1/4 scoop unflavoured or chocolate protein powder. Roll into balls – chill – enjoy! Strategy Three: Take a closer look at your favourite recipes. Eating a more balanced diet doesn’t have to mean total overhaul. Sometimes it’s as simple as making a few tweaks to your go-to meals. For example, we found that Booty’s meals lacked adequate carb and protein intake. In our last post, Booty shared a salad recipe that we tweaked to contain additional healthy fats, making it a more balanced option. It was a totally easy switch, and didn’t take away from the heart of the dish. How can you make your favourite meals more balanced? Can you add an additional lean protein? It’s especially important for vegan and vegetarian athletes to make sure that each meal (and snack if possible) contains a protein source. Cottage cheese!! Half a cup of 2% packs 14g of protein. I try to keep this on hand and add a few spoonfuls on to my smaller meals or snacks. Tuna – NoFair’s into her tuna wraps, but I like to throw half a can (or a personal size pre-seasoned one – mind the sodium though) on my salads for 15g of extra protein. 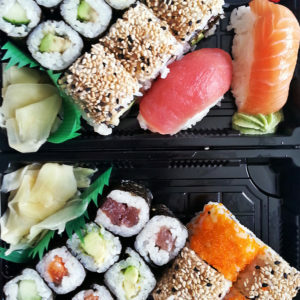 Sushi – a spicy tuna roll or mixed sushi (nigiri-style) meal packs me a carb and protein double whammy! I try to add a few bites of veggies if I can! Bread – buying higher-protein varieties and adding a slice of toast to meals helps up my overall calories, and carbs too. Juice – adding juice to my water bottle at practice helps me keep the energy up and meet my carb macros. Protein Powder tricks – I tried mixing some whey protein into yogurt, and will try with pancakes too! Chicken GameChanger – this is an older trick of mine but one that’s been great to keep up with. I make a batch weekly so I have lean protein on hand and at the ready. 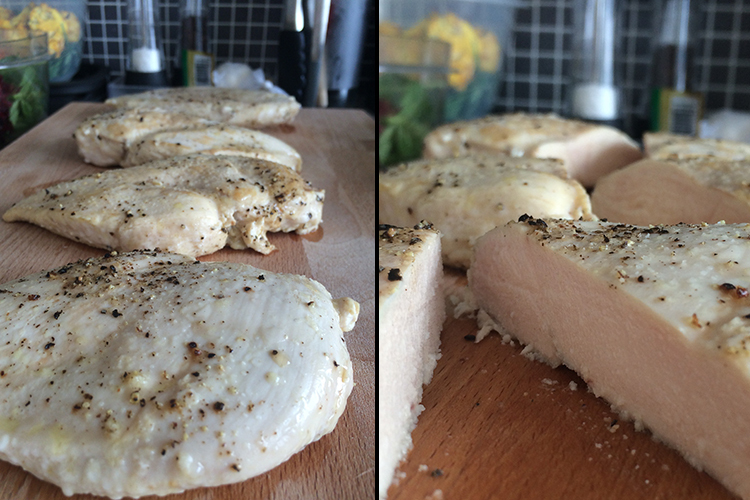 Check out this *life-changing* trick for making your BSCBs (boneless, skinless chicken breasts) juicy, delish, and so easy to make! So, all in all, there’s value in tracking what you eat (even for a short time) to find out which little changes you can make to ensure that you’re getting the right nutrients at the right times to fuel your optimum performance. Now it’s your turn… What part of your food intake (or non-intake!) is the biggest challenge for you? 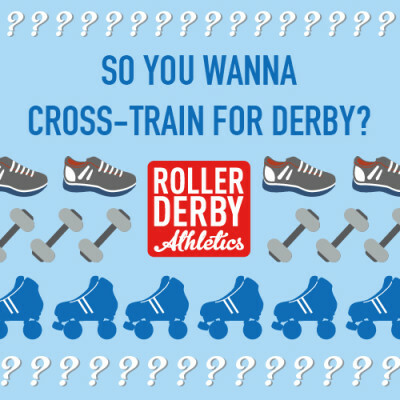 Leave us a great comment or question below, and we’ll build an All-Star Derby in the Kitchen post just for you!